We’ve all heard the phrase “quality over quantity.” But how often do we apply this to our everyday purchases, and when should we? There is a time for everything, including when to save money and when to spend it. We’ve covered which clothes, home decor and even kitchen items you should and shouldn’t spend money on. So what about more general and the everyday items and experiences we use in life? There are times when we should spend more money on the right things so we have money for the things that are important to us as individuals. Here are some more general items that we probably use or come across everyday. Electronics are almost a necessity nowadays but that doesn’t mean you need to spend money on the latest thing. Try refurbished electronics instead. They work just as well as brand-new models and are generally offered at a reduced price. An exception are the holiday sales coming up. Be sure the check out these Best Buy coupons, offers and deals to save money on any gifts you’ll be buying. Books won’t ever require you to turn them on, charge them or restart them. Book are always going to be something different with each reader that turns its’ pages. They are things you can pass down from generation to generation. Books are portals to explore completely different worlds with a turn of a page. I personally will always advocate for spending money on books. Be sure to use these Better World Books coupons and offers to buy a new book. You don’t have to feel guilty about buying new clothes once in a while. 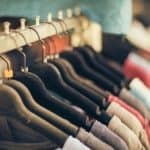 But when it gets to the point where you’re buying new clothes every week or have items in your closet you’ve barely worn, maybe you should save the money for something else. 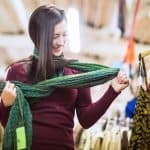 Fast fashion is on the way out and is being replaced by transparent, eco-friendly fashions. Everlane is known for their radical transparency, and Levi’s is committed to sustainability. You can use these great Everlane deals and save money with these Levi’s offers. Travel can be pricey, but the high price tag is worth it. You could trade in a new laptop or a latte a day for a night under the Northern Lights, climbing the Great Wall or backpacking through Argentina. The memories will last a lifetime. 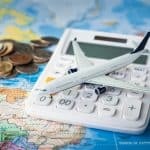 And not all travel has to be expensive; you can use these Travelocity coupons, offers and deals to find discounts on trips. We may not be thinking about how much that Starbucks latte costs. But even three lattes a week adds up and can put a serious dent in your wallet over a year. Instead of spending money on these little, unnecessary items (a daily coffee or bagel from a shop, a new nail polish, a trendy sweater), think twice whether you really need it. All the money you saved from not giving in to those impulse buys can be put toward an experience, like a trip or concert. A trendy, new sweater may make you happy for a week but seeing a singer you really like will last longer. Experiences that create memories or stories are worth more than anything you buy, without the high price tag. What do you choose to spend or save money on? Anything you’re saving money for? Let us know!